In a very small space in Jerusalem you have serious holy sites. Thursday was the day of especially modest dress for us ladies. Shoulders, cleavage, you name it, we covered it. 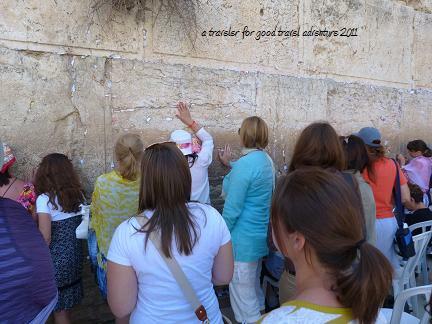 We started at the Western Wall, which is one of the most sacred spots in Judaism. 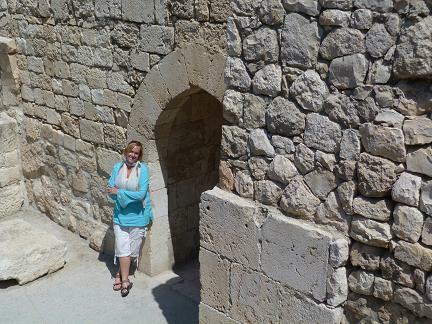 Parts of the wall date back to the second temple period. The wall is always open for prayer. Two thirds of the wall is the male side and one third is the women's side. While we were there, boys were celebrating their Bar Mitzvah's. Over on the women's side, sisters, mothers and other relatives would stand on chairs and lean over the partition to watch the action as well as taking videos and photos. At the wall, you see people rocking while they are praying, especially on the men's side. The rocking can help keep you focused while praying - Brian said that while he was on the men's side, you start doing it because those around you are doing it - it becomes a community of prayer. 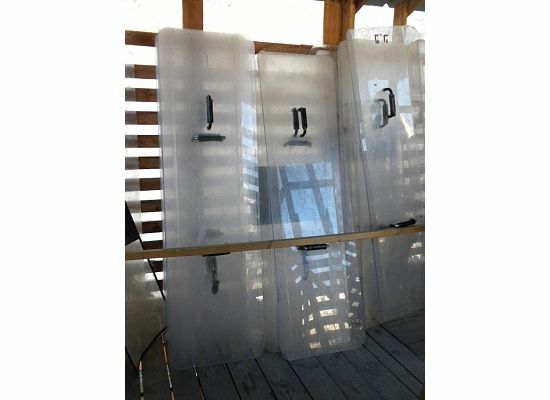 ﻿You can go from the Western Wall on to the Temple Mount - just a little more security. Peter, our guide, referred to the Temple Mount as the most expensive piece of real estate in the world - the value is beyond measure to the three major world religions. 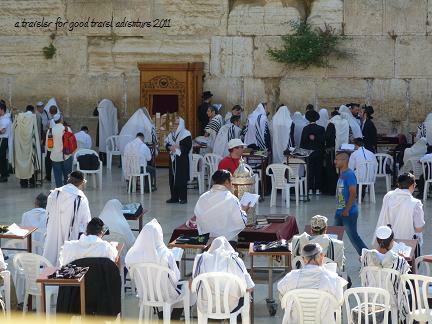 The second temple was on the Temple Mount, the location of the Holy of Holies is unknown, but anyone of the Jewish faith who comes on the mount has to be careful that they don't walk over it (which is why the Chief Rabbinate has forbidden them to go on the Temple Mount). For evangelical Christians, the second temple has to be built again for Jesus to return, so the land must remain protected. For Muslims, this is where Mohammed ascended into heaven. Who owns the Temple Mount? It's a tricky question. Under international law it is part of East Jerusalem, so it's Palestinian. Under Israeli law it is annexed land that belongs to Israel. 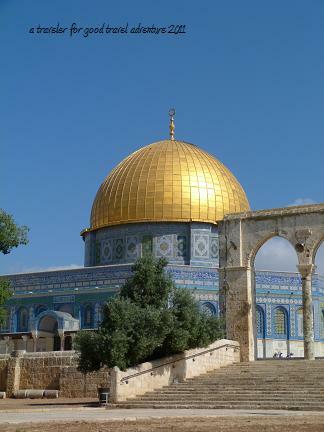 There are two main structures on the Temple Mount: The gold roofed Dome of the Rock and the El-Aqsa Mosque. After leaving Temple Mount we went to the pools of Bethesda and the Church of St. Anne. "Some time later, Jesus went up to Jerusalem for one of the Jewish festivals. Now there is in Jerusalem near the Sheep Gate a pool, which in Aramaic is called Bethesda and which is surrounded by five covered colonnades. Here a great number of disabled people used to lie—the blind, the lame, the paralyzed. One who was there had been an invalid for thirty-eight years. When Jesus saw him lying there and learned that he had been in this condition for a long time, he asked him, “Do you want to get well?” “Sir,” the invalid replied, “I have no one to help me into the pool when the water is stirred. While I am trying to get in, someone else goes down ahead of me.” Then Jesus said to him, “Get up! Pick up your mat and walk.” At once the man was cured; he picked up his mat and walked." We had another Presbyterian (bad) singing moment in the church, which has amazing acoustics. Afterwards we held a prayer for healing in the gardens and had a few minutes to explore the grounds. 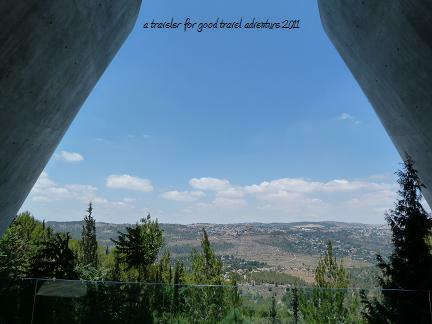 Our next visit was to Yad Veshem, the Holocaust Museum. I've been to the Holocaust museum in Washington DC, but it was a long time ago. The exhibit was extremely well done, and I learned a lot. You can't take photos in the museum, but a photo wouldn't do it justice. It's something you need to experience for yourself. Our last visit of the day was to the Israel Museum. 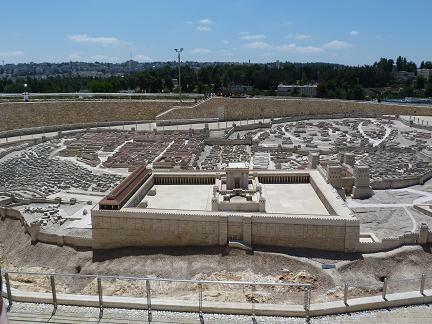 We went to see two things: 1) The model of Jerusalem from the time of Herod 2) The Dead Sea Scrolls. Throughout our time in Jerusalem we were constantly challenged to remember which place was which from the time of Jesus and what things (like the gates) were built afterwards. 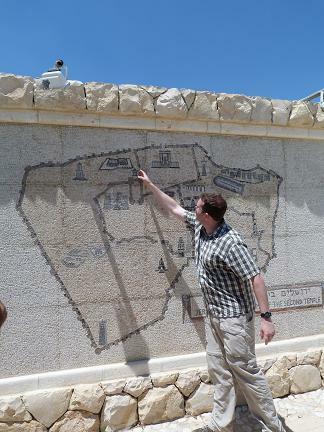 As you can see below, Matt was a master at remember what valley was where and which temple was what. After visiting the museum we were free for the afternoon. 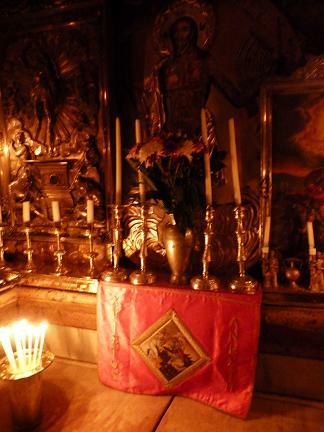 Due to our plans for Friday, we were encouraged to visit the Holy Sepulchre independently if we wanted to go inside the tomb because there is usually a line. We lucked out without having to wait. After leaving the church, I went on a bit of an exploration on my own, walking outside the gates and then entering the Muslim Quarter through the Damascus gate. The market there was not for tourists, it was fruits and vegetables, clothes, headscarves, toys, and other things for daily life. I got a little turned around at one point, but some guys smoking sheesha (waterpipe) sent me in the right direction and I made it back to the tourist market in time to buy some jewelry (and get some for free), chatting it up with the storekeepers. Sitting on the roof terrace on Thursday night, knowing it was our last night in Jerusalem, soaking it all in, finishing up our wine....time well spent.